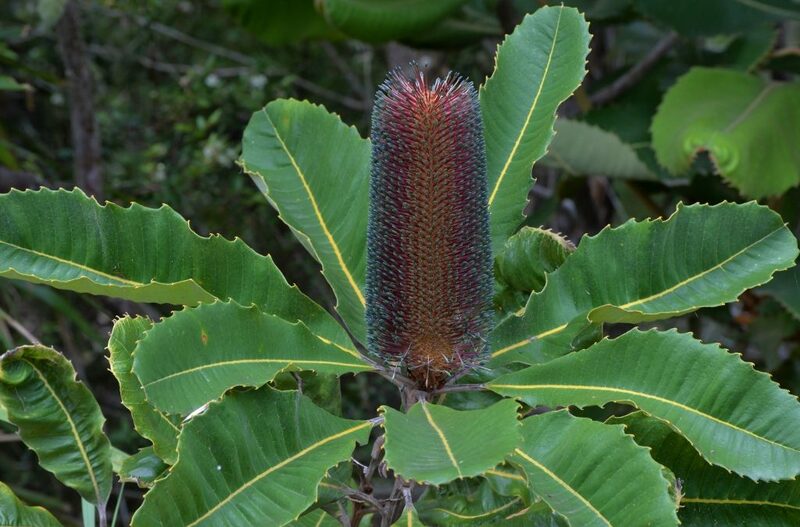 The Swamp Banksia is an open shrub to 1.5 to 2 m found in woodlands, moist sandy areas and wallum heathlands in Queensland and NSW. The compound flower spikes usually appear in autumn and winter, but occasionally at other times of year. These are relished equally by nectar-loving birds, such as honeyeaters and lorikeets, and insects. 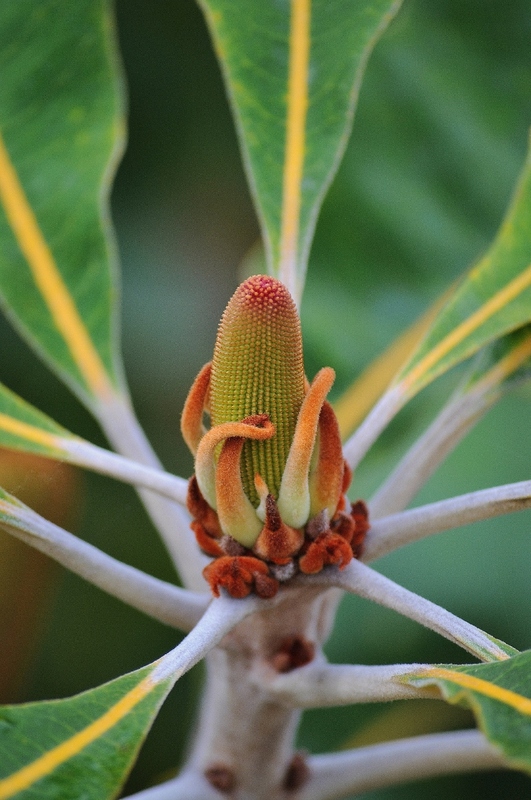 The flower buds are orange-red at first, then greenish, becoming brown to yellow-green as the flowers open (see sequence in photos). 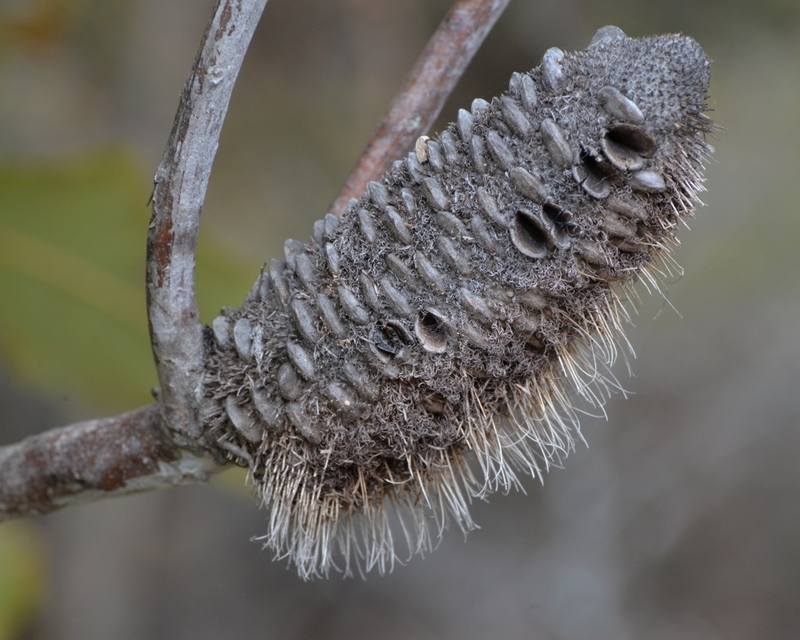 The ageing flowers darken and may persist for many months, eventually becoming permanent ‘cones’ (of May Gibbs’ banksia men fame) – an interesting feature in themselves. 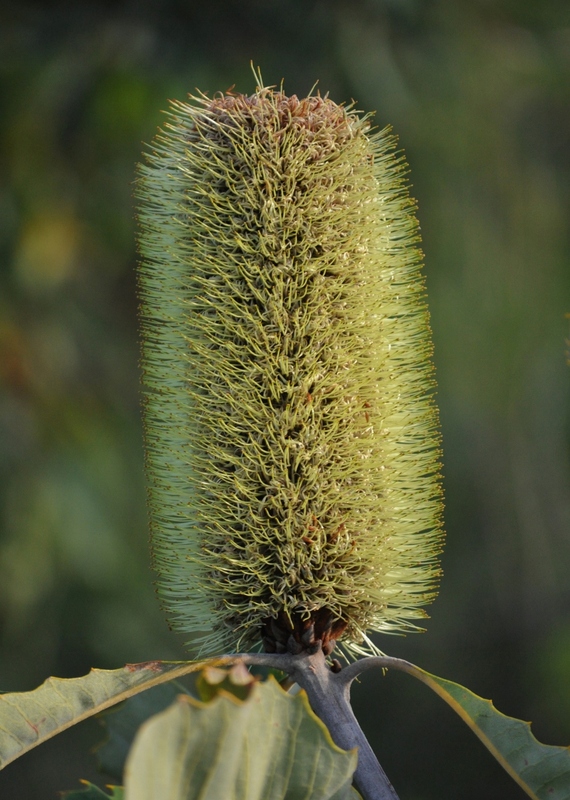 Despite its common name, the Swamp Banksia is an adaptable plant that is tolerant of a wide range of conditions. It makes a great feature shrub with large, stiff serrated leaves that may reach 40 cm long by 10 cm wide. These are rich green above with a paler underside, providing an interesting contrast. The yellow mid-vein is prominent on the upper surface. New growth is covered in a rusty-brown fur-like covering (tomentum). This banksia requires full sun for good flowering and dislikes the use of high phosphorus fertilisers (as for most banksias and grevilleas).